Had my first trip down to Victoria this year and spent a week down at Inglewood area and detected mainly there as well as over at Wedderburn. Found six pieces for 0.92 gram with the 11 inch Coiltek elite on my 5000. The trip started off a bit slow as my elite 14 became touch sensitive and so I had to go and get it looked at and ended up getting a new coil. Enjoyed what I thought was very pleasant and mild Winter weather with a couple of storms thrown in. Nice Ian, you did well there on the gold and great coin!. Lovely photos of the stars too. Nice bits of colour, six pence & background scenery there Ian, well done. Well done Willo - Love the pics and great to see you got a few bits to rattle home with. Nice lot there Willo. Love the coin mate. But I must ask you "Did not hit it with your pick"?? Nice finds there, Willo. Lovely snaps too. Very nice nuggies & coin there Ian. 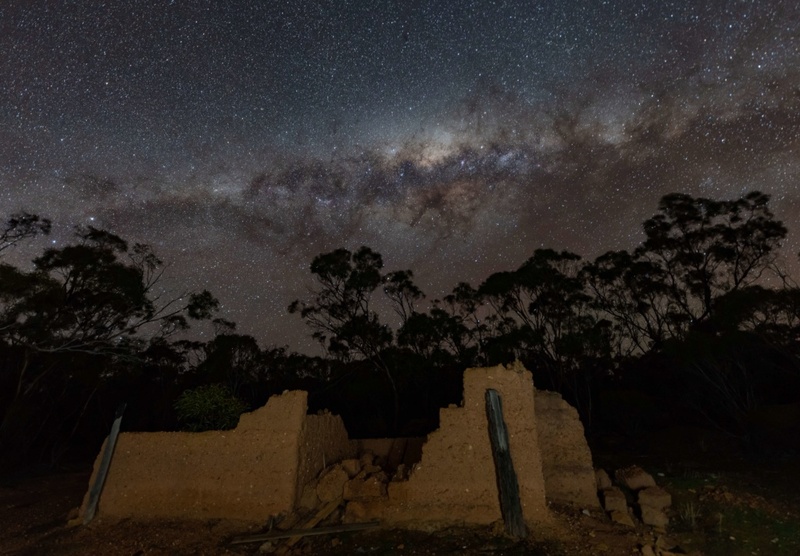 Congrats for your finds and thanks for sharing your finds & your pics of the night skies. 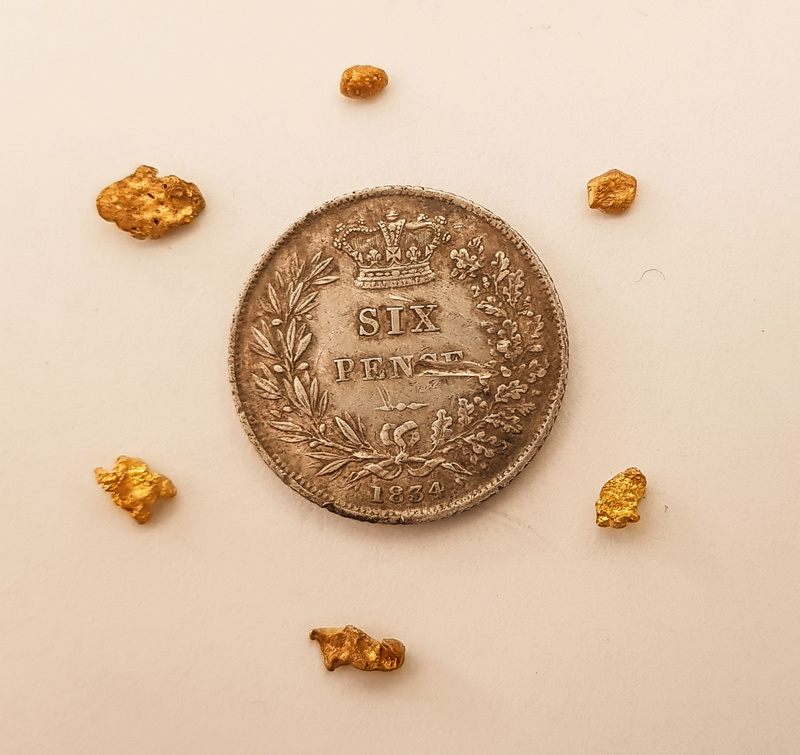 Hi Jen and Wombat, I am ashamed the coin bears the mark of clumsy detecting, I found it on another goldfield and gave it a kiss with the Leschke pointer, I was very cranky about it!. Jen, you asked about my night shots, I found it surprisingly mild when I was down there - big difference to minus 7 where I live or minus 8, 9 or 10 down the mountains to 2 or 3 degrees above zero!